Other Sulphuric Acid Suppliers, Other Sulphuric Acid Manufacturers. Off white to amber, viscous, fuming liquid. 5 - 70% sulfur trioxide. 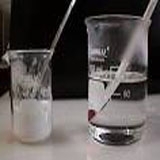 Physical properties are for 20% solution.Chemical intermediate for linear alkylbenzene sulfonate surfactants, for dyes, chemical agent in petroleum refining, in nitration of explosives, in nitrocellulose mfr, in caprolactam mfr, drying agent for chlorine & nitric acid.